Celebrating the life of Wesley Lee Reeves, Jr.
Obituary for Wesley Lee Reeves, Jr.
Wesley Lee Reeves Jr., 72, of Raymond, died February 1, 2019 at Hospice Ministries of Ridgeland. Visitation will be Tuesday February 5 from 5pm to 7pm at Pineview Baptist Church, 1288 Clinton Raymond Road, in Clinton. Services will take place at Pineview Baptist Church, Wednesday, February 6 at 10am with the Rev. John Thomas officiating, and with graveside services to follow at Mississippi Veterans Memorial Cemetery in Newton at 1pm. Following a hard-fought battle with leukemia, the family takes comfort in the fact that though Wesley has left his Earthly home, we look forward to joining him again through our shared faith in our Lord and Savior Jesus Christ. After graduation from Jackson’s Central High School in 1965, Reeves joined the U.S. Navy serving in the Vietnam conflict aboard USS Taylor (DD468). He was the son of a long-serving Jackson police officer Wesley Reeves Sr. After serving in the Navy, he followed in his father’s footsteps, serving the next 36 years in law enforcement. He joined the Clinton Police Department in April 1972 and proudly served the citizens of Clinton until August 1997, retiring as a Captain. Wesley then went to work as an investigator with the Hinds County Sheriff’s Department, serving from September 1997 until 2008. 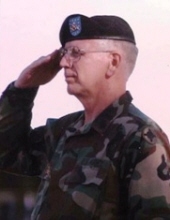 He served in the Mississippi Army National Guard from 1977 until his retirement in 2006, retiring as a Command Sargent Major (CSM) with Canton’s 112th Military Police Company. He served in Kuwait during Operation Desert Storm in 1991, and again deployed to the Iraqi theater in 2003 where he led troops guarding high-risk targets, including captured Iraqi Dictator Saddam Hussein. In 1983, he was among just over 200 officers selected nationwide to become a member of the 132nd class of the Federal Bureau of Investigation National Academy Associates (FBINAA). As a graduate of FBINAA, he had the privilege to experience the comprehensive instruction for local police supervisors from the best of the best instructors. Wesley used the National Academy tradition of Knowledge, Courage and Integrity to the best of his ability as he served the city of Clinton and citizens of Hinds County. In retirement, he kept up with his nine grandchildren attending their church programs, school plays, boy scouts and sports activities. He and his wife, Sandy, enjoyed some traveling when not collecting and restoring military vehicles. He was a member of the Military Vehicle Preservation Association. He loved his dog, “Pete Mitchell”. . .walking with him through the pines and riding around with him in his Army jeep. Reeves is survived by his wife: Sandy Clayton Reeves, of Raymond, three daughters; Leigh Ann Thomas and husband John, of Raymond; Carol Youngblood and husband Lee, of Hickory and Sarah Goodman and husband, Brad, of Brandon; a sister: Ruthe Bayles and husband Jimmy, of Meridian, a brother: Billy Reeves and wife Tina, of Raymond, as well as nine grandchildren, sister in law Peggy Clayton Bridges and husband Rusty, of Raymond, a niece, three nephews and numerous cousins. He was preceded in death by his father: Wesley Reeves Sr.; his mother: Doris Christianson Reeves and a brother: Jimmy Reeves. The family would like to extend special thanks to the staff of Hospice Ministries as well as Dr. Carter Milner and the staff of the University of Mississippi Medical Center’s Cancer Institute and Dr. Linda Allee with the Mississippi Veteran’s Administration Hematology Department. To send flowers or a remembrance gift to the family of Wesley Lee Reeves, Jr., please visit our Tribute Store. "Email Address" would like to share the life celebration of Wesley Lee Reeves, Jr.. Click on the "link" to go to share a favorite memory or leave a condolence message for the family.